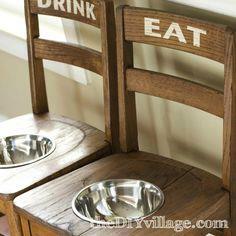 While some of these projects require some woodworking skills, they're simple plans that are perfect for a beginner. 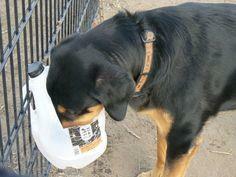 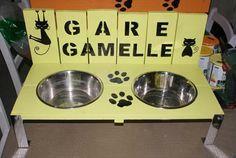 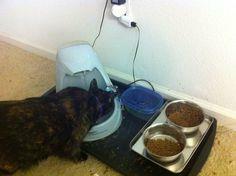 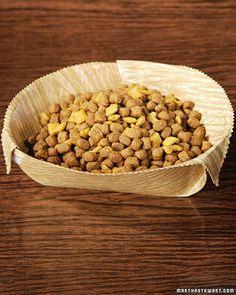 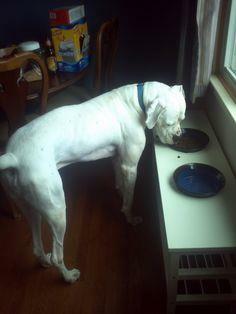 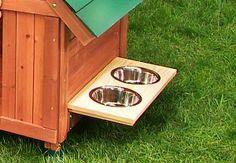 Other feeding stations are self-tending or automated feeders, so your dog will be the one with the learning curve. 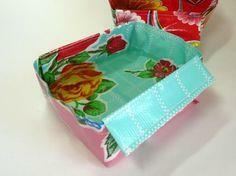 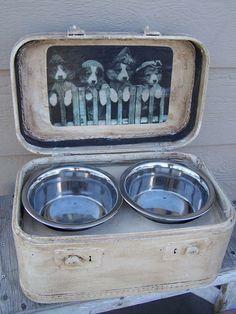 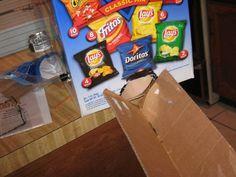 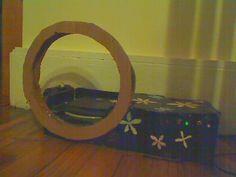 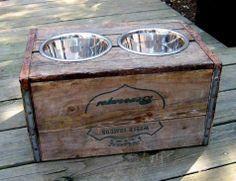 There are also plans that upcycle items like picture frames, vintage crates and old luggage. 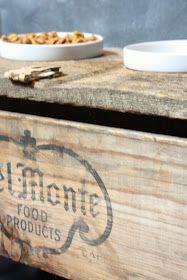 Some setups incorporate storage for bulk food while others are created from recycled furniture like stools, chairs and benches. 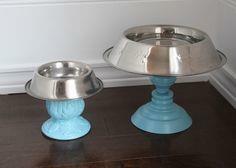 No matter what plan you choose, you friend will appreciate their table setting as much as you do. 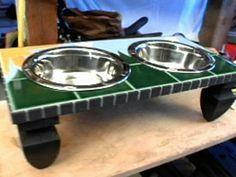 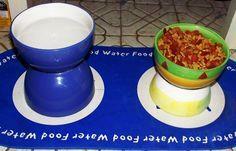 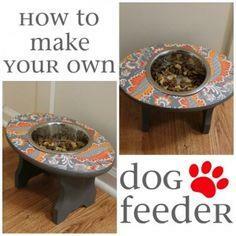 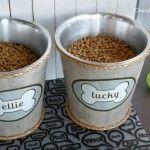 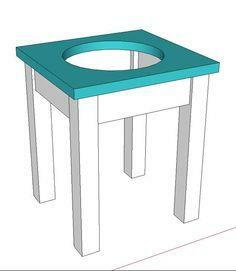 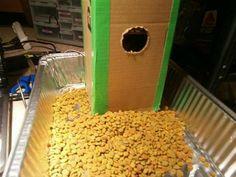 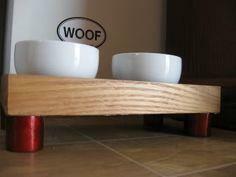 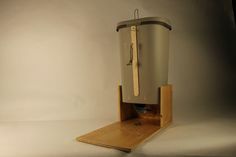 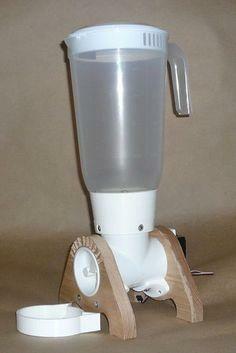 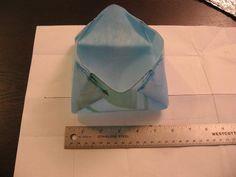 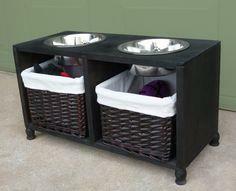 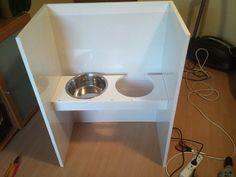 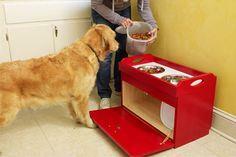 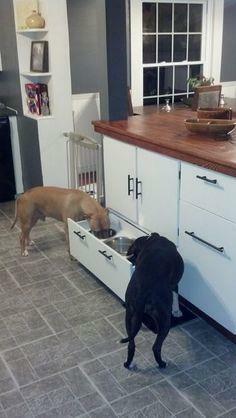 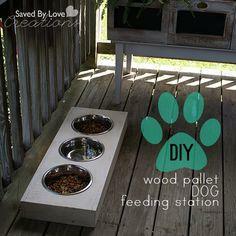 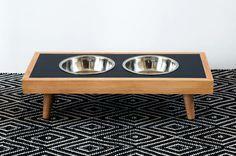 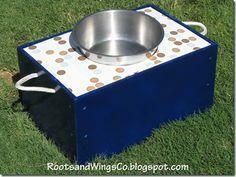 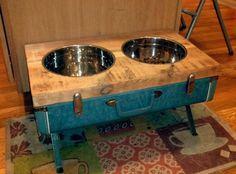 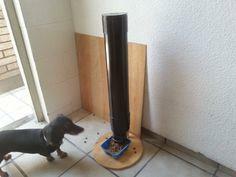 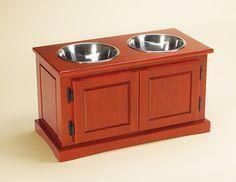 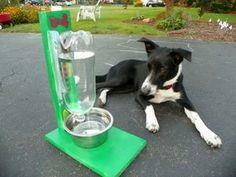 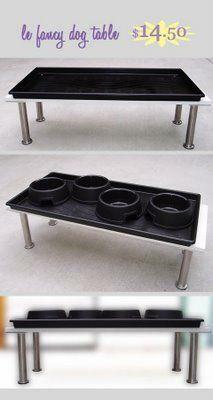 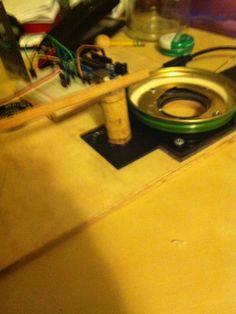 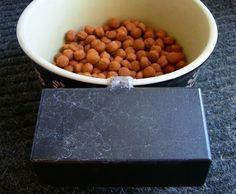 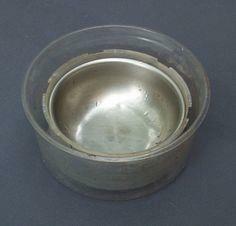 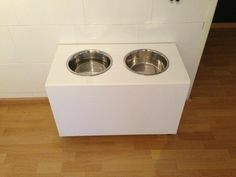 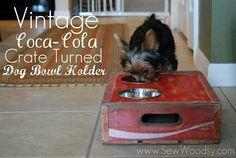 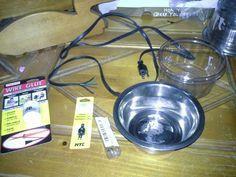 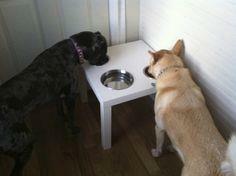 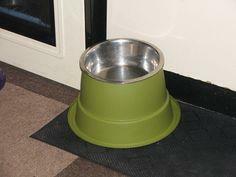 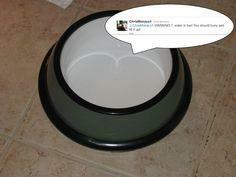 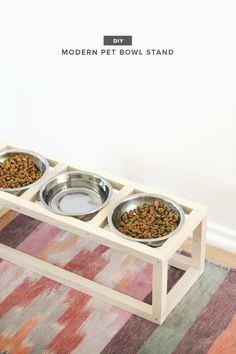 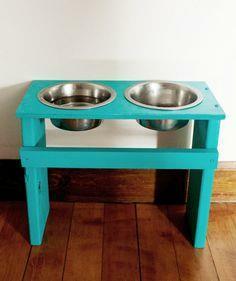 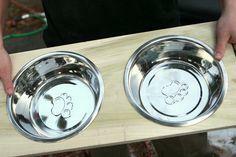 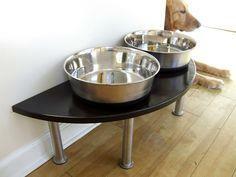 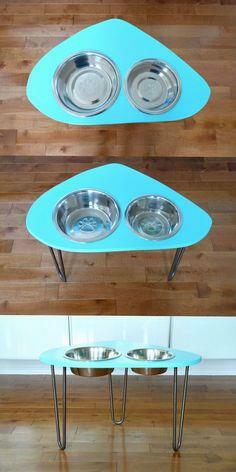 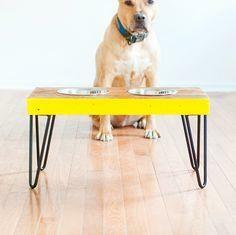 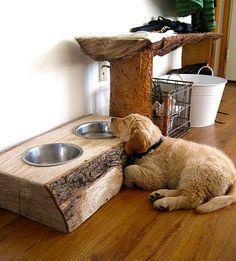 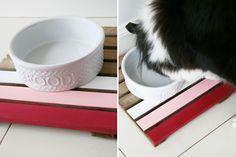 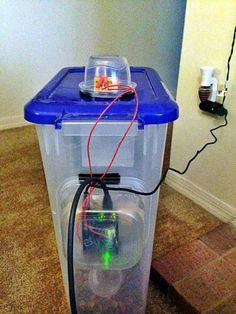 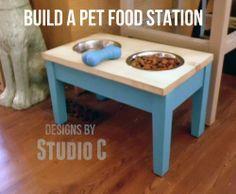 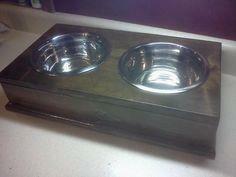 Keep your house clean and organized by building an attractive and useful dog feeder. 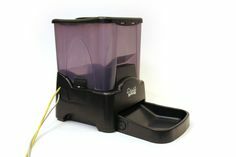 Your jumbo dog will appreciate a raised dish stand and you'll be happy to have a good-looking feeding station that keeps your kitchen tidy. 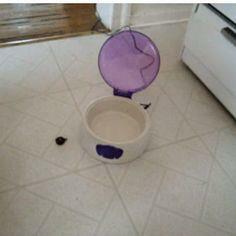 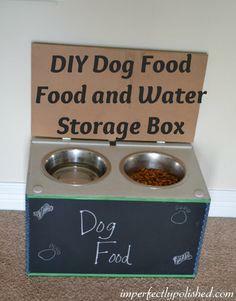 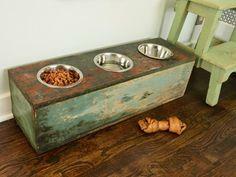 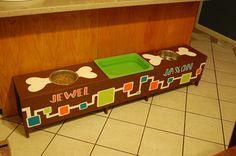 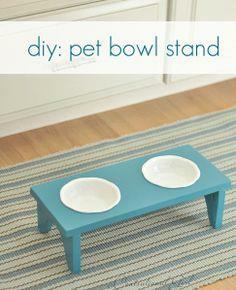 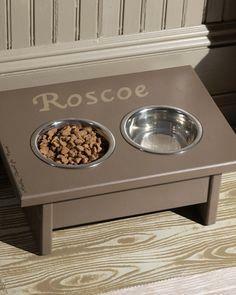 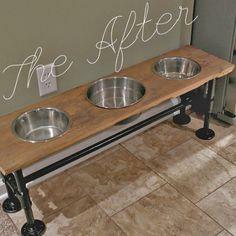 Fjus turned dog "feeding station"